Home > Special Stories > Nepal’s Taekwondo: Defense At its Best! Self Defense is the best investment you can ever make for yourself! Nepal had won ‘bronze’ for Taekwondo in the 1988 Olympics. Although it was the first and the only time the country clinched a medal of Olympic fame, it was enough to set up the legacy of Taekwondo patriots in the country. 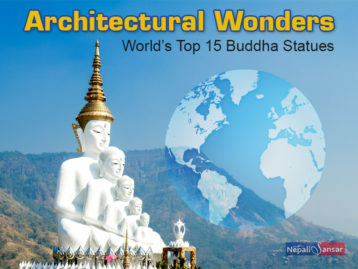 Nepal, a country known for its passion of sports and martial arts, leaves no stone unturned in the field of Taekwondo. Taekwondo was introduced to Nepal as martial arts in 1983 by a group of Nepalese Taekwondo practitioners under the leadership of Deep Raj Gurung, the current Secretary General of Nepal Taekwondo Association. Through his introduction of the art, the Nepal Government realized the benefit of introducing the art in Nepal Police and Nepal Army departments. Much later, the sport was opened to the public to be practiced as an open sport. South Korea is home to this ancient art of self-defense. Soon after the World War II ended in 1945, new martial arts schools, Kwans, were established by Korean martial artists with experience in Chinese, Japanese and Korean martial arts, across Seoul in South Korea. Even though the art was being practiced, it did not have a name until 1955. Following its style, the art was named ‘Tae Soo Do’: ‘Tae’ meaning “to stomp, trample” ‘Su’ meaning hand, ‘Do’ meaning “way, discipline”. The term was later modified by Choi Hong Ki who called it the name we know today, i.e., Tae Kwon Don where ‘Su’ or ‘hand’ was replaced by ‘Kwon’ or ‘fist’. 1959 led to the formation of the Korea Taekwondo Association (KTA) unifying Korea martial arts. In 1966, Choi established the International Taekwon-Do Federation (ITF) after separating from the KTA to institutionalize his own style of the art. 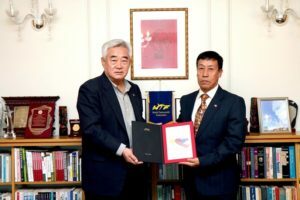 However, the world currently recognizes the World Taekwondo Federation (WTF) renamed to World Taekwondo (WT) in 2017 as the international governing body for the sport. WT follows the Kukkiwon-style Taekwondo. Similar to Taekwondo, there are other forms of self-defense including Karate and Martial Arts, which are practiced both as an art and a sport. Taekwondo requires a different leg position because the body needs to be prepared to lend fast kicks whereas in Karate focuses on hand techniques. 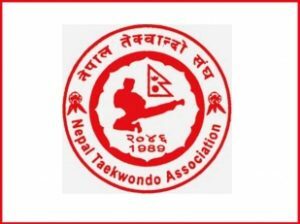 The Nepal Taekwondo Association (NTA) is the administrative body for the sport in the country. The Nepal Army, Nepal Police, Armed Police Force and District Associations are affiliate members of NTA. NTA was initially registered with the Nepal Martial Arts (NMA). August 2017: Purna Bahadur Magar and Soni Khadka were honored by the Nepal International Taekwondo with the ‘ITF Player of the Year’ awards. The duo won gold medals at the Seventh National Games held in the Easter region in 2016. ITF also honored coach, GHAM Bahadur Thapa with the ‘Best Coach’ award. Nawalparasi was branch was conferred with the ‘Best Association’. October 2017: Nepal Taekwondo athletes displayed a great performance at the Seventh Tirak International Taekwondo Championship held in Bangkok. They took home a total of 21 medals including 6 gold, 6 silver and 9 bronze medals. January 2018: Nepal participated in the International Open Friendship Taekwondo Championship held in the Itahari stadium in Nepal. Nepal clinched 57 gold medals, 42 silvers and 52 bronze medals. 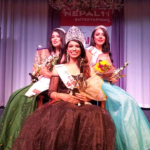 Nepal athlete, Dikshya Thakuri was conferred with ‘Best Women Player’ title. What a bunch of wonderful memories for Nepal to hold on to! We hope that the country continues to perform its best at the national and international fronts with support from the government and the NTA. We wish the country all the luck for its future competitions. Shine Nepal! Golf, Nepal’s Next Challenge to World Sports!